Oh FFFFFFF I was hoping that I could get here fast enough before you decided to mention this. I can already tell you that list is fake, as much as I want Rockman.EXE in the game. That exact same list (minus Classic being mentioned alongside Megaman/Rockman.EXE) was posted by some troll over at Capcom Unity last week, trying to pose as the famous SSFIV leaker Kensk. Plus, Niitsuma himself just disconfirmed any further Darkstalkers series characters about three weeks ago. That means no Hsien-Ko. Not to mention that it's highly unlikely that we're getting any more than 42 characters, let alone 48. That's not even mentioning that a few of the picks in there are clearly guesses, like Rockman.EXE or Classic, Frank West or Chuck Greene, and Soki or Samanosuke. In general, I don't think any leaked list should be followed, but I'm so far a little partial to this one, which apparently has been around for a while. Alilatias is right on a couple of things for sure, such as Niitsuma specifically saying no more Darkstalkers, and Samanosuke being very unlikely. That said, I do expect a MegaMan of some sort. I too would love Rockman.EXE but given the "safe" and predictable Capcom selections so far (Zero, Viewtiful Joe, Tron to a certain point), it definitely looks to me like we'll be getting classic MM again. We got to show Capcom we want MegaMan.EXE in MVC3! For the record, the real Kensk has already stated that the leak you mentioned is false, as apparently some of the characters in that list are characters that he already knows are out of the game. Not saying that all of the characters that the image teases won't be in the game, but even one false character destroys the validity of it. That said, the fact that the image uses the Classic Rockman logo for Tron Bonne and Zero is a red flag, considering the correct logos were used for Volnutt and Zero in TvC. An even bigger red flag is the fact that the image lists Spider-Woman as a Spider-Man character, which is actually completely wrong. Yeah, that's the list I'm prone to believing at this point too. Whatever -- as long as we get Mega Man in addition to and not instead of Zero, I'll hate Capcom slightly less for giving X the shaft YET AGAIN. But if any version of Mega Man is left out in favor of Zero, my interest is totally killed. Ah DAMMIT!!! And I was so hoping Megaman.EXE made it in, too!! DAMN YOU TROLLS!!!! But to Capcom: Please ignore the trolls asking for self-wanted characters! Add Megaman.EXE or Volnutt for a fighter slot and maybe even Phoenix Wright or Fransizka von Karma for a fighter slot or a battle stage cameo!! Just make the real fans happy!!! And what's this about a character named Howard the Duck? Well crapfaces. I was hoping this was legit. EXE in Onimusha was so out of place. I want a current-gen fighter with him in it. I want my megaman fighting game now, Capcom. You need to learn about what happened last time they tried to put in PW in a capcom fighting game. 1. Not many moves for him. 2. OBJECTION!/HOLD IT!/ TAKE THAT! wouldnt work as they have a different amount of letters in japanese in english, or something like that. 3. What COULD he do besides point and yell? And Alilatias, We can always have hope. .EXE deserves a lot more respect from capcom. .EXE is one of the most popular MM series, iirc, Yet look at how many games ANY of the .EXE characters have been in outside their own. Maybe less then 5, iirc. I really hope capcom WILL put him in, At the very LEAST. Hm, that's odd, my comment regarding the leak that Dhylec mentions didn't get through. That image leak is fake though. Really big red flag when that image considers Spider-Woman to be a Spider-Man character, in which she isn't. 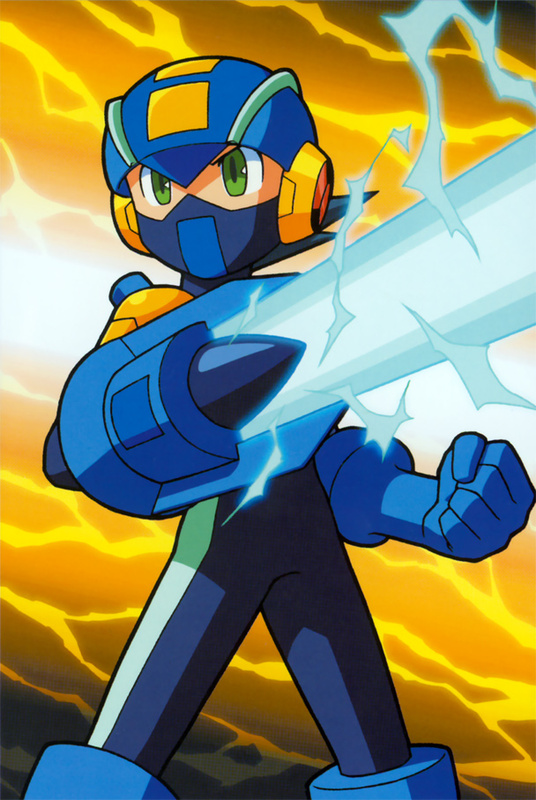 To everyone asking me about EXE, I still have hopes for Rockman.EXE being in this game. These leaked lists do nothing to my hopes. I'm with a lot of others. As cool as it would be to see Mega Man.exe, I doubt the list is legitimate. And the guesses like Zero were obvious, so I don't think it matters much they got that right. I don't think they'd have two different Mega Men anyway. I honestly don't think putting Phoenix into a fighting game is seriously that mindbendingly difficult. It would just take some (a lot?) of creative thinking. He could use psyche-locks in an attack, for example, or make good use of the AA games' supporting cast like how Frank West uses zombies. "Yet look at how many games ANY of the .EXE characters have been in outside their own. Maybe less then 5, iirc." Only one, actually, discounting the Boktai cameos. That was Rockman.EXE in Ominusha Blade Warriors, in which his moveset in that game was -almost- as silly inaccurate as Classic's moveset in MvC1 and MvC2 was. Then again, all of the characters in that game consisted of melee fighters. Going off of GameFAQs, Rockman.EXE appears to be considered top-tier. Above MMZ Zero (who also appeared in that game), to boot. Regardless though, I'm hoping that if Rockman.EXE does indeed make it into MvC3, that his moveset is a bit more accurate to his games. Not to mention that I hope his moveset focus is different from Classic and Volnutt. At the very least, I'd think EXE wouldn't have a weapon switching mechanic like MvC Classic and TvC Volnutt did, and he'd have more emphasis on traps and field control. Like a mix of Trish (damaging/stunning traps) and Dormmammu (status effects such as slowing opponents down, summoning vortexes that block any rushdown attempts). @ MegamanMegafan: I know what happened. That's why I'm asking for Phoenix in this game. Capcom's had more than enough time to think of a legitimate moveset for him beside his pointing-OBJECTION! move. 1. If Saki from a dating sim by Capcom can have more than her gun and grenades, then Phoenix can have more than his magatama and finger-pointing. 2. Does the OBJECTION!/HOLD IT!/TAKE THAT! have to be completely balanced in letter number? Why just make the speech bubble for that small so it won't take up space, but big enough that players can see it? Is that another name for Hsien-Ko? Yeah... What do you think? Classic Mega Man I can understand, but why EXE? I'd say keep him out of this. @ Kenichi430: Considering all EXE has done this decade, why the hell not? From the way the article words it, "classic and battle network style" it seems like exe will be a skin for classic Mega Man, like War Machine is for Iron Man. Didn't the producer flat out say no Battle Network characters at one point? As much as I'm not too much of a fan with .EXE (I'm a Zero and X fan, Axl too!!!!! Got a problem?) but I'm interested to see .EXE's fighting style if he's in it. @extremesonic: If that's true, I'm NEVER gonna use the orignial skin. "Didn't the producer flat out say no Battle Network characters at one point?" No. No such thing ever happened, yet. Why the hell is this rumor so prevalent nowadays? Hmmm.... I'm kinda sad to say it, but the notion of it sounding more like having .EXE as a skin for Mega Man sounds more likely. But wouldn't it make more sense to say "Classic Mega Man (with a possible .EXE skin)" instead of the previous version? Talking skins, do you think there will be a Zero skin(Zero version)? It'd be pretty nifty- Wait, why would Classic Mega Man-HUH?!? OKAY DAMMIT, are you talking about Megaman Zero or the Zero that was just announced? Yeah, it's her japanese name. Yeah, I've just about dropped this list in favor of one that apparently managed to nail both Shuma-Gorath and Jill Valentine as DLC. The catch? Mega Man isn't anywhere on that list (neither is Thor for that matter, but the guy who made the list said that he was certain he missed someone on the Marvel side. That and the list is apparently just a compilation of things he discusses with his source, so it may not even be finised). Do I believe the list? Eh, again, we've had too many for me to believe one until it's right on the money. But correctly predicting 2 characters as DLC has to count for something, no (assuming the roster was made before the announcement of the 2 DLC characters)? "If you read it carefully, it sounds like .EXE isn't necessarily a character on his own, rather, a skin for Mega Man..."
This would be the perfect way to satisfy everyone regarding the whole Rockman / Mega Man controversy. It's not like every Mega Man would play entirely different from each other. Make it happen Capcom!